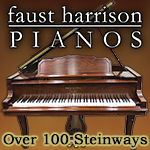 Register Log In Piano World Home Page Forums Piano Forum C. Bechstein or Grotrian Steinweg? Please help. Good afternoon, I am Edgar, almost 36 years and live in the Netherlands. My wife plays piano all her life. I do not. I would like to learn. Our daughter would also like to learn. She is still young (four years old), but I do not stop her. I would like to purchase an upright piano. I think it’s a one time purchase and that you will not soon, perhaps never again, buy another piano. At least I think so. Maybe I’m wrong. Initially I had the Steinway & Sons K-52 (132 cm) on my short list, but because of the price I dropped it. I am really in need of your independent advice. My wife and I find it very difficult to make a choice on the basis of the sound and feel of the pianos on our short list. The sound and feel of both pianos are almost equal (to us). However we have to make a choice. Which one I should pick? What would you advise me? Last edited by Edgar1974; 09/24/10 08:36 AM. My wife and I find it very difficult to make a choice on the basis of the sound and feel of the pianos on our short list. The sound and feel of both pianos are almost equal (to us). However we have to make a choice. Both are good quality uprights, so the simple answer is buy the less expensive one. 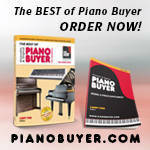 If they are located at different piano dealers, buy the piano from the dealer you feel will support the sale better. Does one dealer give better after sale service? 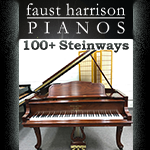 Is one dealer better known for how they prepare the piano prior to delivery? Will you be using a piano technician from the dealer for future service? If you still cannot decide, pay an expert pianist to help you choose. 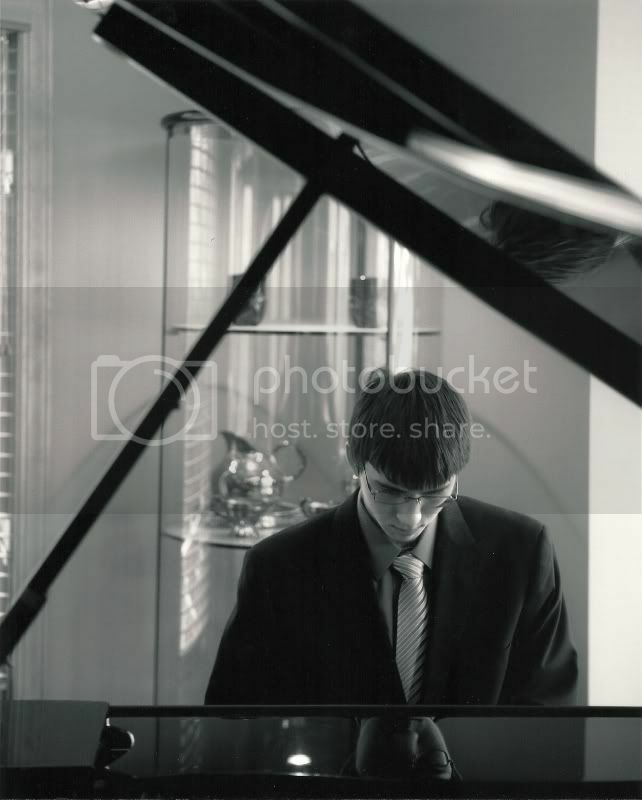 Have them try both pianos in a wide variety of repertoire that is demanding on both pianos. This should make it more clear which piano is superior. Since both are extremely well built, judging which is 'superior' is likely to be a component of your own tastes. As Keith notes, if you feel both are identical (or very close) in all the ways that matter, then choose based on price or on dealership issues. Things are more complicated if you happen to have a preference for some attributes of the more expensive one. Since you ruled out the Steinway already, price does seem to matter. Your wife plays. Have you ruled out a grand piano for reasons of space? These particular uprights command a high price in the US market, and they don't sell well as far as I know. I suspect they are also expensive in the EU as well. One can acquire a much bigger sounding grand for not a whole lot more money. Which one is visually more appealing? Which has a better manufacturer's warranty? Good luck with your daughter, and start saving money now to help her launch her piano career if that's where her Talent takes her. The support from the dealer may be worth hundreds of Euros. Besides, I and many others try hard to support dealers whose business methods and policies are fair towards artists. When I was in France, I tried both Grotrian and Bechstein upright as well as grands, from my memory, I remember that Bechstein's sound is more delicate in the upper side, someone else would say that it's "thinner" (for me, it's heavenly delicate). The upright of both brands sound very beautiful, so I think that this's a question of personal taste. When we go to pianos of this caliber, I think that we should try to extend a little bit our budget to get the sound we want, and we should spend a lot of time between the 2 pianos, try, play, torture ... them from every imaginable angles to see how they respond, and the answer will reveal clearly after all these tries. I too agree with Keith. However, in my experience the tonality of the pianos differ, not in a better/worse way but different harmonics blends as you change strike. I would play both again, focusing on the tonality you get in each register with varying strike. One will likely be preferred. Whenever I have played top flight German pianos, including in their own factories, the element of surprise has always been there. Sometimes I expected a certain performance and it was not quite there, many times it went the other way around. The next visitor to factory perhaps had a different perspective and perhaps came to somewhat different conclusion: IMHO this strictly personal knowing full well that all these makers only produce top notch quality. Last edited by Norbert; 09/24/10 06:32 PM. Thanks for the quick and comprehensive responses. Once I've made my decision, I let it know here. They are indeed expensive in the EU (at least the UK), so I can't imagine they sell in huge numbers, but space is probably a more important consideration for most on this side of the water. Grotrian was a little cheaper than Bechstein when I last looked but that was a while ago, so things may have changed. At this level you can't really go wrong, so it's a nice choice to have! Both of these pianos are first rate, but, at the risk of throwing a monkey wrench into the whole operation, have you tried a Schimmel? If you have fine, but if you haven't - do yourself a favor and at least try one. You might be blown away, or you might think pass, but you should at least try one. 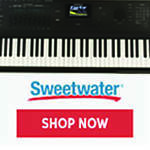 Schimmel makes a great piano and it will be less expensive than your two choices. It's not a cheap piano by any means, but it is reasonable and world class as far as quality. It's definitely worth an audition. It would be a very difficult choice for me to make. Both are exceptional uprights. Recommendations on trying other uprights can be endless. My only thought is that if you like the C.Bechstein you many also like their Academy version which sounds great to me as well and a whole lot less expensive. Anton Rubinstein said about the piano: "You think it is one instrument? It is a hundred instruments!" Just echoing others here, but Keith is "spot on". I know what I would choose between the two, but I am looking forward to hearing which of the two you chose and how you came to you conclusion, Edgar. You have recordings of both? Sometimes you can hear they sound very different on recordings while they sound pretty the same in the shop(s). I bet these uprights will be expensive... Did you consider a grand instead of an upright? Thank you for all the responses. I'm really appreciate that. We're still in doubt. Again we have a side by side comparison of the two pianos (Bechstein and Grotrian Steinweg). We have listened to several pieces (Chopin, Bach, Mozart), but we're still in doubt. That doubt is also because we listened to a Steinway & Sons V-125. That is 'nicer' price than the K-132. We were not in the possibility to made a side by side comparison of the Bechstein, Grotrian Steinweg and the Steinway V-125. That makes it a bit difficult to compare. Question: If the V-125 may be involved in the comparison, it is automatically the 'winner' (brandwise)? Last edited by Edgar1974; 10/11/10 03:45 PM. I have a slight preference for the Steinway V over the K, but I have only seen old ones from New York, not from Hamburg. The Bechstein 124 and Grotrian 124 are both exceptional uprights. I suspect the Steinway V-125 is as well though I do not have any personal experience with that model. While Steinway may be the best well known of the top piano makers, Bechstein and Grotrians are certainly in the same class category and as highly regarded by many. Pick the one you like the best but the bottomline is that there are no bad choices here. Good luck.